Happy Valentine's Day! Hope everyone takes time to let the people you love know how much you love them. We'll be celebrating tonight with our traditional heart-shaped pizza (you can't beat tradition) and then a long weekend hanging together (in between conferences & our usual running around). Valentine's Day is all about the hearts, right? I read this post yesterday written by a woman awaiting a heart transplant. Matt and I are both organ donors...we've marked our driver's licenses, we've told family, we've put the information in our living wills...but we missed a step. If you are an organ donor, please click here to add your information to your state's organ and tissue donor registry. And if you are not yet a donor, please read and consider giving someone a second chance. 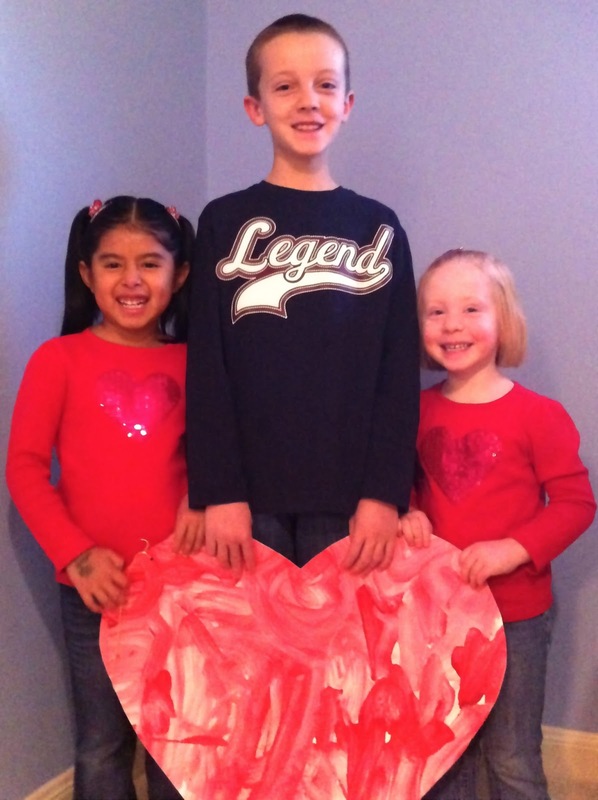 Thanks for making Val Day special for our family! And thanks for Liv for the huge heart!